Leora C. Collins, MD is a passionate supporter of women’s health as an OB/GYN at Cross Roads Hormonal Health & Wellness. She provides comprehensive gynecologic and obstetric care for women of all ages in Cross Roads, Texas, using advanced training in holistic obstetrics and minimally invasive gynecologic surgery. Dr. Collins was interested in medicine from a young age and aimed to become a doctor while still in high school. She graduated in the top three from her high school class in San Antonio before accepting a scholarship to attend Stanford University for her undergraduate studies. 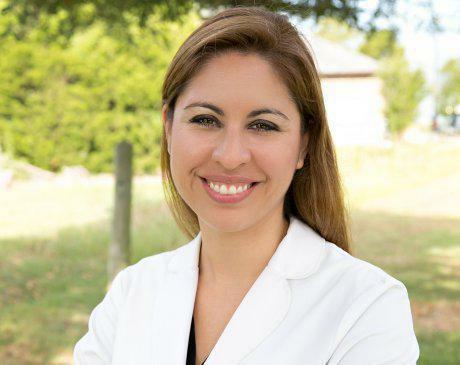 After receiving her bachelor’s degree in human biology from Stanford, she returned to Texas to attend the University of Texas Southwestern Medical School. She then completed her residency at Methodist Health System in Dallas, Texas, where she took on leadership roles and additional studies in high-risk obstetrics and minimally invasive surgery. Dr. Collins is currently a Junior Fellow of the American College of Obstetrics and Gynecology with advanced training in weight loss, thyroid disorders, and hormone management for men and women. In her free moments, she enjoys spending time with her family, reading, and gardening. No matter your health goals or concerns, Dr. Collins is ready to help you become your healthiest self. Take the first step to better health by calling Cross Roads Hormonal Health & Wellness or by scheduling a consultation online today.